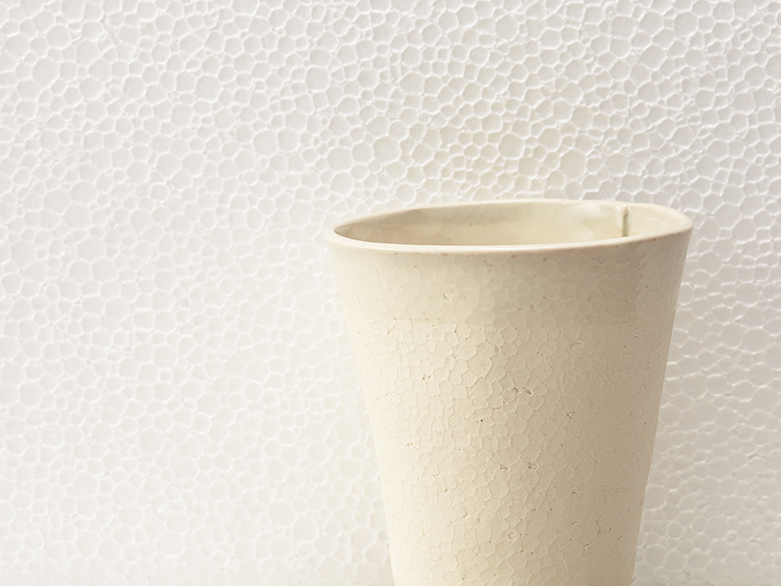 ‘utsusiwa’ is a ceramic tableware collection that retains the original textures of the simple, ordinary objects from which it is formed. 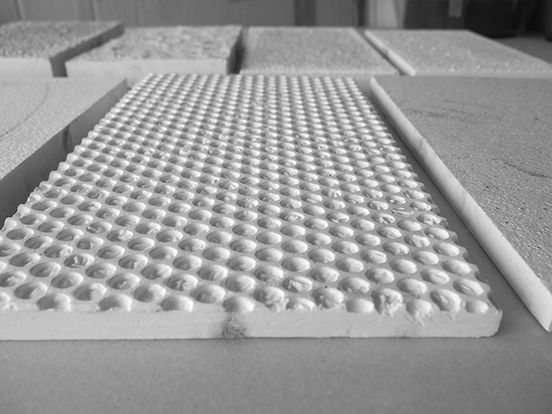 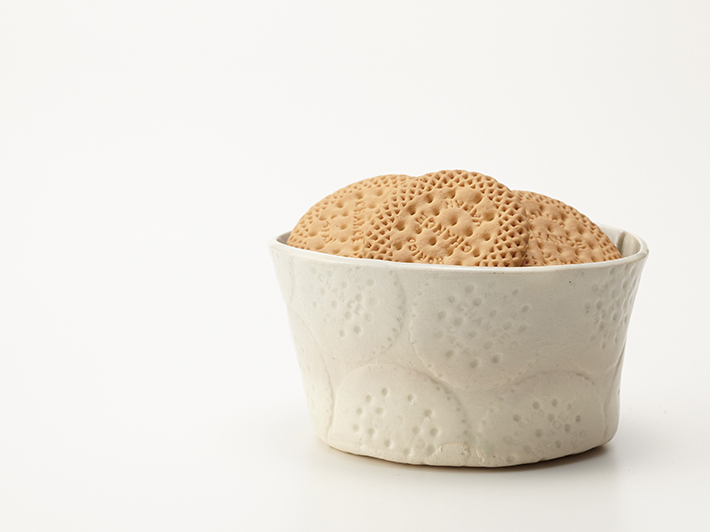 The tactile memory of the prime object is transported onto the surface of the tableware and makes you want to touch it. 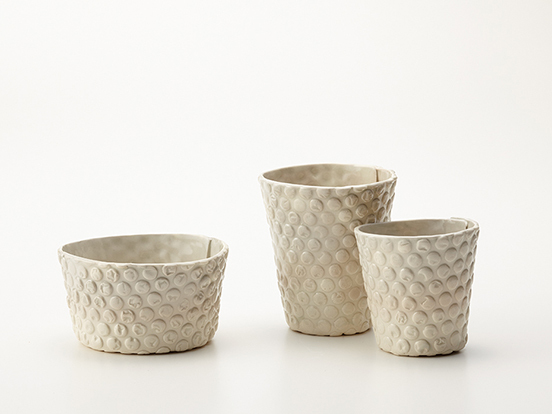 The handcrafted collection is produced by Shuho Gama, a potter based in Kyoto who uses traditional Japanese methods to shape his wares. 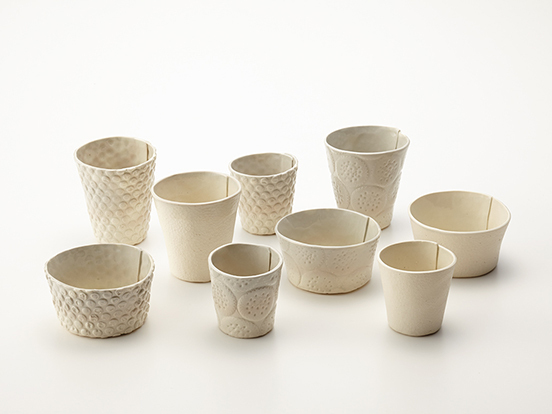 All the ceramics are made of natural clay and, because of their old-world construction, no two are exactly alike. 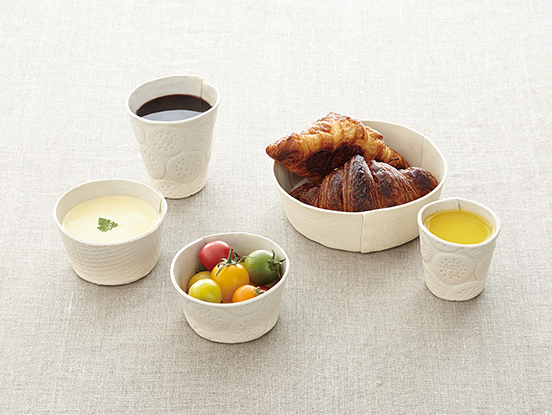 Each piece is unique and it makes your mealtime delightful. 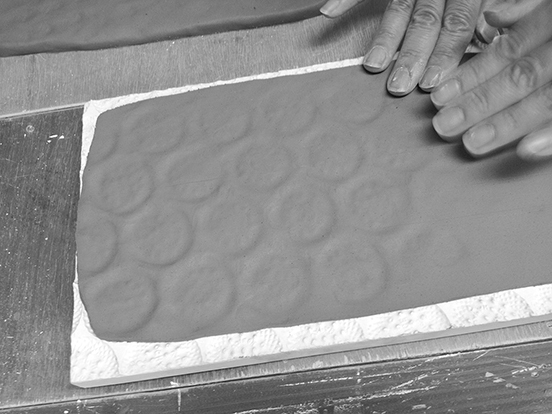 This project has been created by means of a work which had been done by Ryosuke at the Experimental Creations held by ICEP in AOFES 2013.